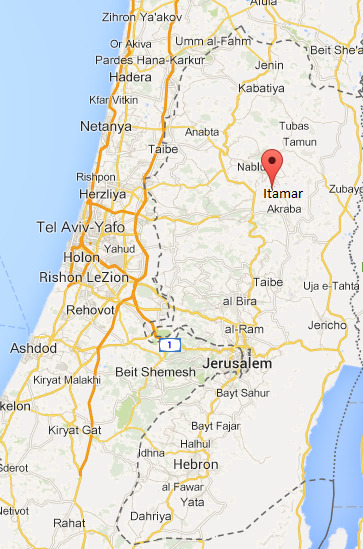 Thirty years ago, on Israeli Independence Day, the pioneers of the town of Itamar arrived to establish the community. At the time they numbered seven families. On Wednesday, over 200 families who currently live in the town will celebrate the anniversary by praying at a new synagogue, built in memory of the 20 Itamar residents who have been murdered over the years. The number of those murdered is proportionally the largest in Israel, relative to the size of the community. 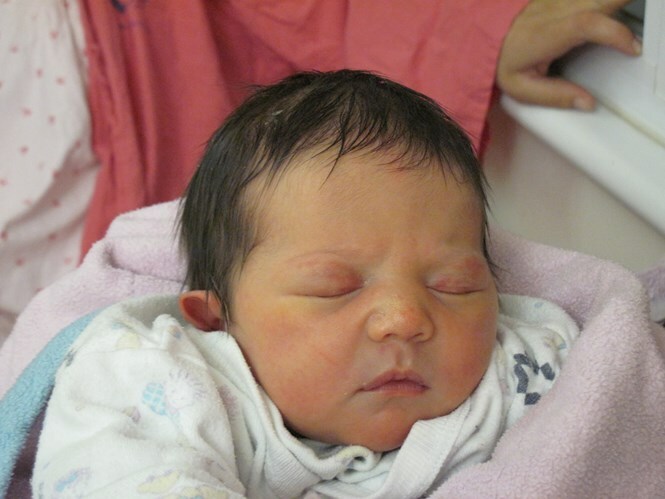 Construction on the synagogue began following the Fogel family massacre in 2011, when Ehud (Udi) and Ruth were killed in their home by Arab terrorists, along with three of their six young children, the youngest being their three-month-old daughter Hadas. "We've raised a splendid community"
Among those leading the building project was Hagar Zar, one of the founders of the town. Gilad Zar Hy''d, Hagar's husband, was a security officer of the Shomron Regional Council before being murdered by Arab terrorists in 2001; shots were fired at his funeral procession, leading to a gunfight between the IDF and terrorists. Hagar's love for Gilad took her out of the socialist Kfar Szold Kibbutz where she was raised, and brought her to Itamar where she gradually took the ideals of the Torah and the land of Israel. Today she lives in the town, where most of her eight children and 12 grandchildren likewise reside. An artist by trade, Hagar sewed the curtains and planned a memorial wall for the new synagogue in the memory of her husband, as well as the other murdered residents of the town. "My hope is that our acts here will sanctify the place," Hagar said of the synagogue. "I am truly moved. I look back, and remember how we arrived at Itamar seven families all in all, and today with G-d's help, despite all the hardships, we've raised a splendid community just as Gilad would have wanted, with wonderful and special families that I'm proud to be part of in building the town." 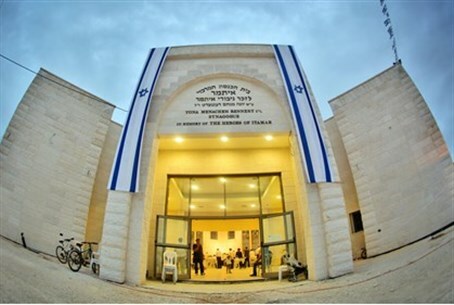 "Steadfastness despite all the difficulties"
Ohad Gadot, a member of the town's secretariat and manager of the Association for the Advancement and Development of Itamar, also was one of the builders of the new synagogue. "The town of Itamar took many losses; we remember them and are happy that finally there's a fixed synagogue building in our town dedicated to our dear friends, to bind and unify the community," remarked Gadot. "This fixed structure will deepen the roots of our hold on the back of the mountain opposite Shechem (Nablus) on the way to the Kever Yosef (the Tomb of Joseph)," added the association manager. Gershon Mesika, head of the Shomron Regional Council, welcomed the new synagogue, saying "in this place crying and laughter are indivisibly mixed; the joy of marking 30 years to the founding of the community, and the great pain over those who aren't here with us." "We were allowed to see that the community is the pride of Samaria and the state of Israel," added Mesika, praising the town's "strong steadfastness despite all the difficulties." Mesika noted that the town provides "a wonderful example to all our fellow countrymen of our ability to be here in this land even in the hardest moments." The official dedication event for the new synagogue will be held in several months, with the presence of rabbis, governmental ministers and MKs, as well as the bereaved families.